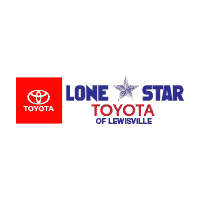 Lone Star Toyota is excited to offer this 2019 Toyota Avalon. Start enjoying more time in your new ride and less time at the gas station with this 2019 Toyota Avalon. There is no reason why you shouldn't buy this Toyota Avalon XSE. It is incomparable for the price and quality. You can finally stop searching... You've found the one you've been looking for. The look is unmistakably Toyota, the smooth contours and cutting-edge technology of this Toyota Avalon XSE will definitely turn heads.